Russia has signaled it is ready to hit back and tighten customs controls on Ukrainian exports if Kiev signs a ‘suicidal’ customs agreement with the EU. Such a trade war could cost Ukrainian producers an estimated $2.5 billion in losses. “We are preparing to tighten customs procedures in case Ukraine suddenly makes this suicidal step of signing the EU association agreement,” Sergey Glazyev, a senior economic advisor to President Vladimir Putin, told RIA Novosti. Last week Russia stopped nearly 1,000 cargo cars at the border, although the country’s authorities denied the move was political. Gazyev told RIA Novosti the delays were a one-time occurrence, but that Ukraine could expect more scrutiny and time-consuming checks if they go ahead as planned and join the EU trade bloc. Ukraine has rejected Russia’s offer to join their regional free trade block that includes Belarus and Kazakhstan, and instead intends to team up with the EU in November. Kiev’s decision to sign a free-trade pact with the European Union would foil Russia’s plans of a strong trade union, where Ukraine would be a great contributor. The Federation of Ukrainian Employers, a business lobby group, estimate a trade restriction could cost Ukrainian companies up to $2.5 billion in losses. Conversely, entering a trade union with the EU will eliminate trade duties by nearly 99.1 percent for agricultural goods, and 98.1 percent on industrial goods, with an expected transition period of 10 years. According to a European Commission note, this deal will save Ukrainian exporters nearly 490 million. Ukraine's exports to Russia totaled over $16 billion last year, nearly a quarter of all goods, and exports to Europe were just over $17 billion, according to EU trade data. 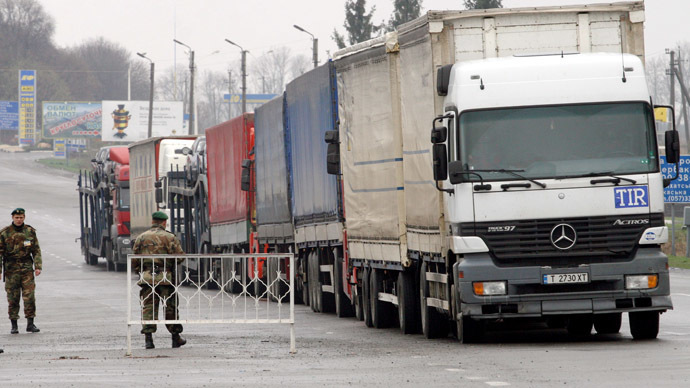 Opening its trade wider to Europe, Russia claims it will need more time for inspection at the border, and can’t guarantee the entrance of Ukrainian goods. "An enormous amount of European, Turkish and other goods will appear on the Ukrainian market and then flow to us," Glazyev told Inferfax, adding Russia would have carefully examine the quality of so-called ‘re-imports’. Moscow-Kiev relations have been on edge as Ukraine moves closer to EU membership, and tries to shed its dependence on Russia. 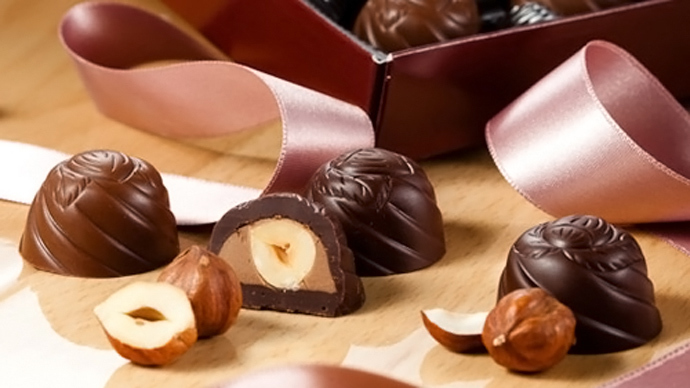 Trade relations, as a result, have brinked on ‘trade’ wars, from gas tiffs to a ban on an iconic Ukrainian chocolate. Alexey Portansky, professor at the Russian Higher School of Economics says the situation would be much more serious than the ban on Georgian goods, which have just re-entered the Russian market after a near 7-year ban. 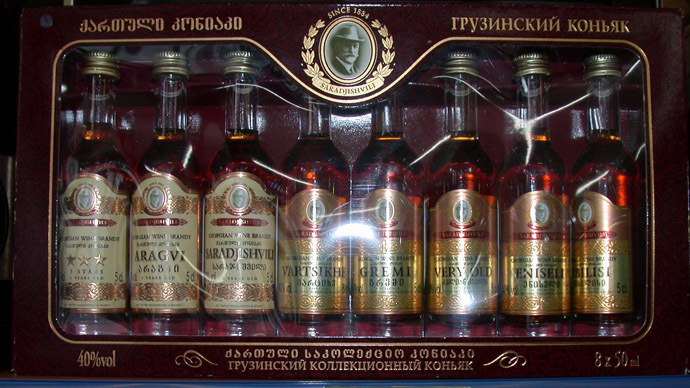 "Even the 2006 bans that Russia imposed on Georgian and Moldovan wine, juice and mineral water does not compare to the current Russian-Ukrainian trade war," Potansky wrote in a Russia Forbes article. 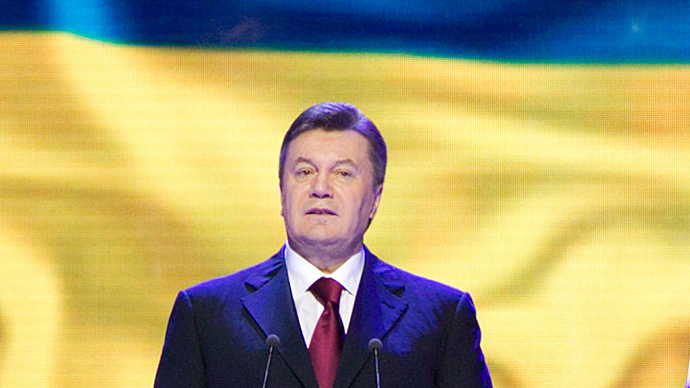 Russia has tried to entice Ukraine into the trade union on promises of discounted gas, but the offer doesn’t seem to sway Ukraine away from Brussels, as President Yanukovych has repeatedly publicly criticized ‘unfair’ gas prices, and has already cut down on Gazprom imports by 40 percent year-on-year, instead seeking other energy suppliers.